2.1 Why is the current direction in pnp transitor from an emitter to base? 9.2 Where does it use? A device which formed by two p-type semiconductors separated by an n-type semiconductor. Pnp transistor is made by two p type semiconductor and one n type semiconductor. This type of transistor fig you can see below. This transistor has mainly three regions .1) emitter, 2) base, 3) collector. Here you can see every region have the different width. middle region base has a narrow layer or smallest width. This base region is heavily doped. Here emitter and collector is p-type semiconductor so they contain majority charge carrier as holes. The base region is an n-type semiconductor in which majority charge carrier is electrons. Pnp transistor symbol is shown in the figure. As we see in npn transistor symbol here only change in direction of the emitter-base current. Here current flows from emitter to base region. Why is the current direction in pnp transitor from an emitter to base? As per above diagram you saw current is flowing from emitter to base. Here two external sources are connected with pnp transistor. Emitter-base junction is always connected in forward bias so p semiconductor is connected to the positive terminal of battery Vcc and base n type semiconductor is connected to the negative terminal of battery Vcc. Base-collector junction is connected is always reverse bias so p type of collector is connected to negative of battery Vcb and base is connected to the positive terminal of battery Vcb. Now current is produced from an external source and this current easily pass from emitter to base because it is in forward bias. Note current can’t able to flow from base to emitter because it is in reverse bias. All these regions have different width in pnp transistor. Check out detailed about transistor regions. The base is a thin layer and middle region. Here emitter-base junction is in forward bias and Base- collector is in reverse bias. In the above figure shows the basic connection of pnp transistor. The forward bias between emitter and base cause current to flow from p type emitter to n type base. This constitutes current ( Ie). P type semiconductor contains holes and This holes going to transfer to the base. The base is n-type so this holes combine with electrons and constitute current ( Ib). This base is very thin and lightly doped region so, very few electrons combine with holes. Only 5% of holes combine with electrons. Other electrons move from base to collector. This constitutes current ( Ic). This current (Ic ) is 95% of emitter current. We can tell emitter is almost equal to collector current. You have to note current conduction in pnp transistor is by holes. In previous we see applications of npn transistor. Now we are going to see application of pnp transistor. 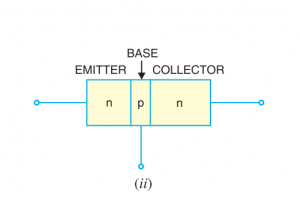 Generally, PNP transistor applications are the same as applications of npn transistor. 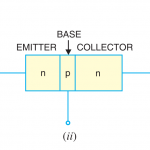 We only have to replace npn instead of npn transistor. The only difference between these two types of transistor is polarity. In npn current flows by electrons and in pnp current flows because of holes. Pnp transistor has same useful as npn transistor. Check out the npn transistor uses. These transistors are mainly used in an amplifier circuit to amplifies signal. This types of the transistor also use a switching in may electronics circuits. pnp transistor 2n3906 is commonly used pnp bipolar junction transistor. This transistor is mainly used for amplifying signals in electronics circuits. This pnp transistor is mainly used for applications in which we required low current and power. By this transistor, you get medium range voltage. main transistor specifications you can see in the transistor manual. 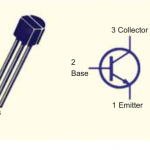 bc 557 is another type of pnp transistor, the main specifications of this type of transistor are shown below. This bc 557 type transistor are used in as a switching in any circuits. You can use this transistor as an amplifying component in your electronic circuits. This uses in driver module like relay driver, LED driver etc. Pnp transistor is a device which consists of two p-type and one n type semiconductor. N type base is a very thin layer, The main difference between npn and pnp is the flow of current. In pnp type transistor current flow by holes. 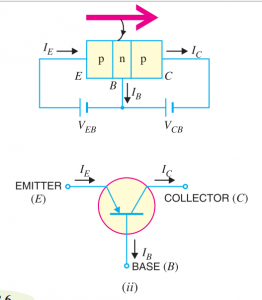 In npn transistor current flows by the electron. PNP transistor applications and uses are the same as npn transistor. Pnp transistor is mainly used as switches and as an amplifier. Hope you enjoy our article. Thanks and come back soon! In pnp transistor common base connection, emitter current is 1mA and collector current is 0.95mA. 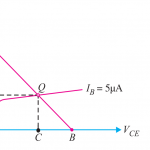 Find the value of base current? Pnpntransistor is a website which is especially found to make easy tutorials on electrical topics. Here you find all electronics components and electrical machines related articles which is easy to digest.